This forecast was published 04/05/2019 at 7:01 AM. This is an archived avalanche forecast and expired on 04/05/2019 at midnight. Our snowpack will warm today, transitioning wind slabs into a wet avalanche problem. 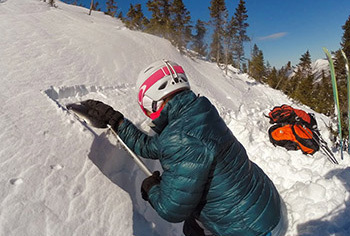 Shallow instabilities will demand sluff management by skiers and riders and are most likely to get you in trouble above cliffs or in narrow couloirs. 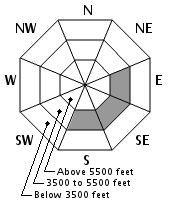 While the avalanche danger rating is LOW today, this does not mean no avalanche danger. Wind slabs that warm to the point of becoming wet today may produce small avalanches that could carry you into undesirable terrain. 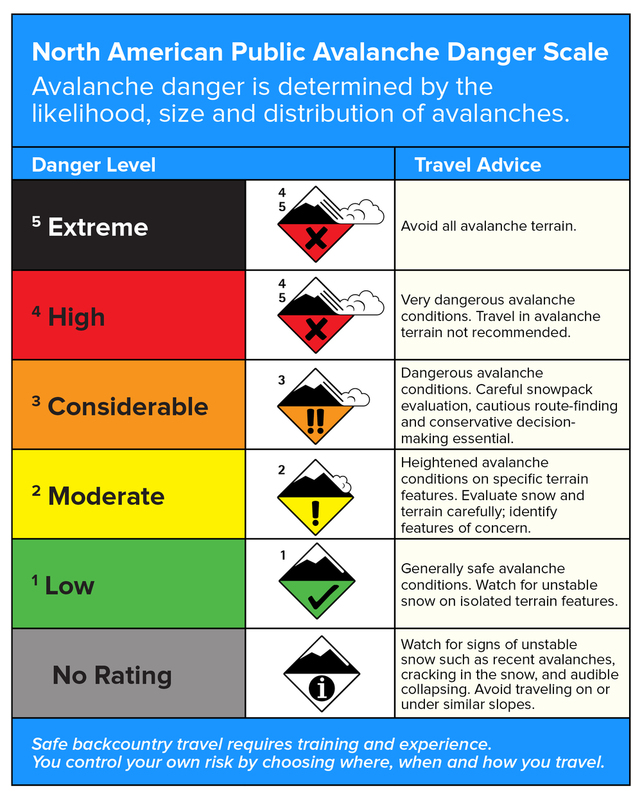 Today’s avalanche rating is based on snow that is already on the ground. 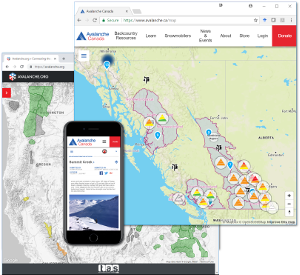 Snowfall is forecast to arrive tonight; if out after dark you may encounter developing wind slabs that could make avalanche danger exceed a Low rating. High wind and colder temperatures kept spring at bay yesterday. Wind slabs stayed cold and dry with the melt/freeze crust firm down to around 3,000’ on many aspects. Today will start cold and windy, but quickly change as high pressure builds. Warming today will be driven by many factors: temperatures increasing to the high 20sF on summits and mid 30s at mid elevations, wind speeds decreasing to 10-15 mph midday, and mostly clear skies allowing abundant solar gain. As the afternoon wears on, W wind will shift SW, increasing to 60 mph by midnight. Clouds will develop as well with precipitation starting around dusk. The heaviest precipitation should come tonight into Saturday morning, leaving us with around 4” of snow on the ground at mid and upper elevations. With minimal decrease in temperature tonight, it’s likely to see rain mix in at mid elevations tomorrow morning. Wind slabs that formed early in the week will warm today for the first time. These slabs are thin, but could produce wet loose avalanches which could prove troublesome if they carry a skier or rider over a cliff or ice bulge. 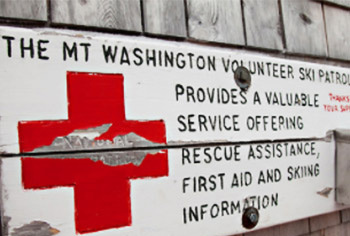 This is of particular concern in very steep terrain. Think of safe zones in terms sluff management today. Pay attention to how the weather is impacting the snow surface: rollerballs, pinwheels and adjacent wet loose activity are all signs the snow surface is becoming unstable. The melt/freeze crust which formed last weekend is present at all aspects and elevations. This crust has eliminated deeper instabilities and should provide quality skiing where it softens today. Wind slabs that formed from small amounts of snow through the work week are lurking in the lee of W and NW wind. These wind slabs have had the chance to settle since forming, but will be weakened by today’s warming and will be the primary locations for avalanche concerns. Identifying these wetting wind slabs is easy due to the stark contrast in color and texture when compared next to dirtier and more textured melt/freeze crust. 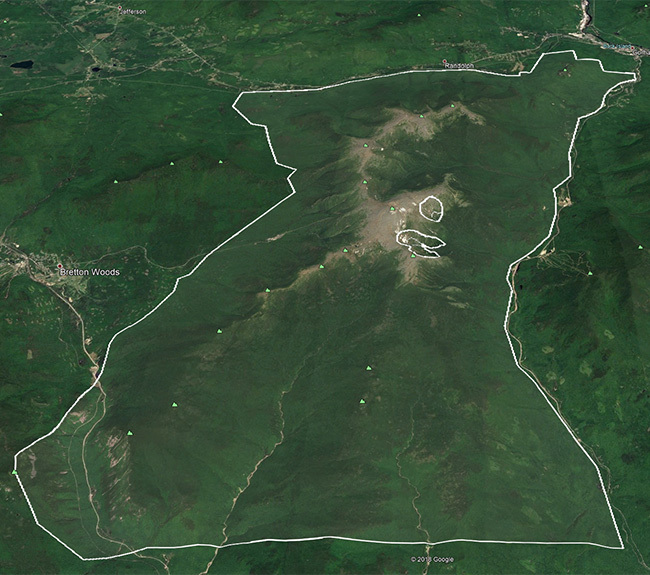 The Sherburne and Gulf of Slides ski trails are snow covered to Pinkham Notch. Water crossings are starting to open, particularly low on the Gulf of Slides Trail. Posted 04/05/2019 at 7:01 AM.